Thank you DinoLord, I'm glad you like him. Thank you for the tip. I'm working on getting a sense of motion in my illustrations, so I'll keep that in mind for next time. Thank you Dr. Admin! Any help I can get to make sure my illustrations are as accurate as possible is wonderful, especially from someone as knowledgeable on the subject as you. I'll be sure to move the eye to its proper place. I've read a few articles that speculate that some plesiosaurs may have had short, stumpy tails rather like a skink. Something to use as a lure to distract other giant marine predators. If I may ask, what do you think about this idea? It appears to have a chubby tail, but I'd hesitate to compare it to a skink or hypothesise it as a possible lure. Polycotylids are highly specialised plesiosaurs, with particularly short tails, so I wouldn't presume that all plesiosaurs had the same beefy tail anatomy. In fact, there could even be some distal vertebrae missing from the end of the tail in this specimen - it looks unusually short. We are awaiting the full description of it. 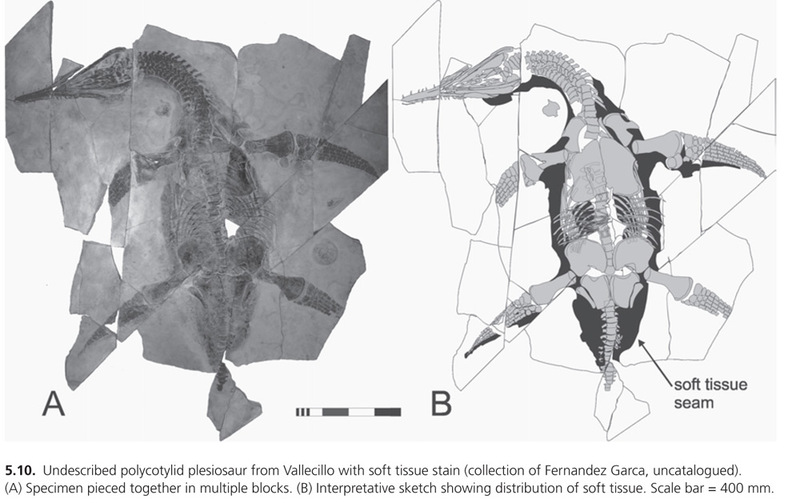 There's a growing body of evidence for plesiosaurs having tail fins. Dr Admin has actually contributed to this! Thank you Dr. Admin and Sim I imagine there must be something about the tail vertebrae to hint on how thick the musculature on the tail is for different animals. Of course fat would be another element we can't see unless we have a beautifully preserved fossil like the example Dr. Admin gave. I don't know very much about reconstructing musculature and soft tissue on a fossil. They all just look like bones to me. But it's something I'm trying to get better at so that I can reconstruct the animals the best I can, rather than just relying on models and toys. Thank you so much for all the help! I really appreciate it, since I really think kids would love an accurate dinosaur just as much or more than the cutesy or monstrous JP versions out there. Critter of the week is Pliosaurus! I do wonder if he should have some more fat on him, for a more streamlined shape suitable for a marine animal. Hmm...I may experiment with that in future sketches. In the meantime, I hope you enjoy Tigger as he is now. There's some behind the scenes info on him at Pete's Paleo Petshop if you want to check it out. Thank you Sim for all the links, they are very helpful. I didn't realize so much had been published on the subject. You guys are awesome. Here's a lovely Camptosaurus pair for you to enjoy. Copper, the male here with the red head, is making some gurgling, chirping noises to his lady. My roosters chirp to their hens all the time to show them where the good stuff is. You can find out what Copper sounds like over at the Paleo Petshop. I'm sorry for the sloppiness of the background. I'm working on getting better at that. This one was painted in a speedy 30 minutes before the kids got out of bed. 30 MINUTES?!! i could NEVER draw such a good things in my compluter or my cell phone. just see how awful my dilophosaurus looks like in the intro of my dinosaur war series on my youtube channel. Thank you Raptor You are very kind. Just to be clear though, I painted the background in 30 minutes. 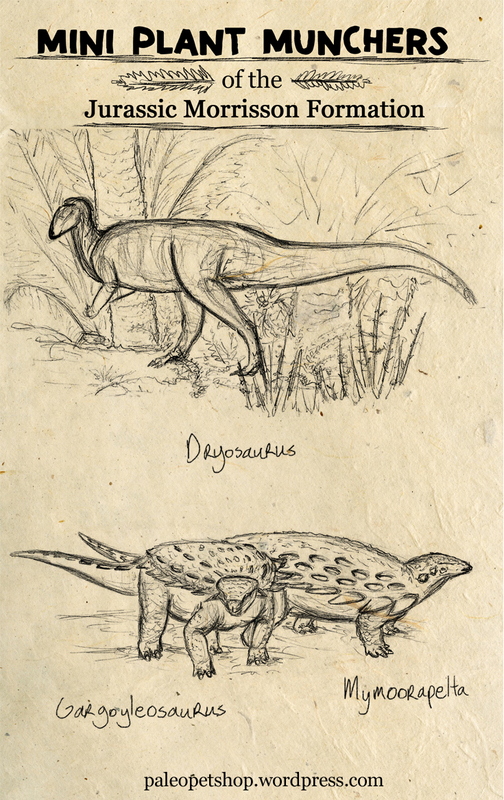 The two camptosaurs were drawn in pencil, then scanned into the computer to get an hour's worth of color. So altogether was probably closer to 3 1/2 hours of fun. Divided into 15 minute or so increments because three small children are bosses at dividing your time like that. I'm sorry I didn't reply sooner. I didn't realize anyone had commented. And this little guy is the Critter of the Week today. My husband has named him Opie, 'cuz he's an adorable floof. Opie carries his Teddy everywhere. You can say a quick hello to Opie, and hear his happy dino chirps, over at the Paleo Petshop. Nice sketches, but you misspelled 'Morrison'. Also I'd reconsider the angle of wrist articulation in that first sketch. Many theropods had a somewhat limited degree of wrist movement. Oops, I'll have to fix that typo. Thank you for catching that one! I never realized there were armored dinosaurs aside from stegosaurs in the Jurassic layer of the Morrison. First time I ever draw anything like them, and I've already grown rather fond of the overgrown horny-toads. I'd imagine they would have the attitude of a honey badger. Small, but tough, with possibly a prickly attitude. And here is the critter of the week over at the Paleo Petshop. She's a little shy...I've brought lots of treats to coax her out of the cycad thicket for you guys. There she is! Little Rosie. You can click on the picture to learn a little more about her. Always happy to see a well rendered ornithopod! 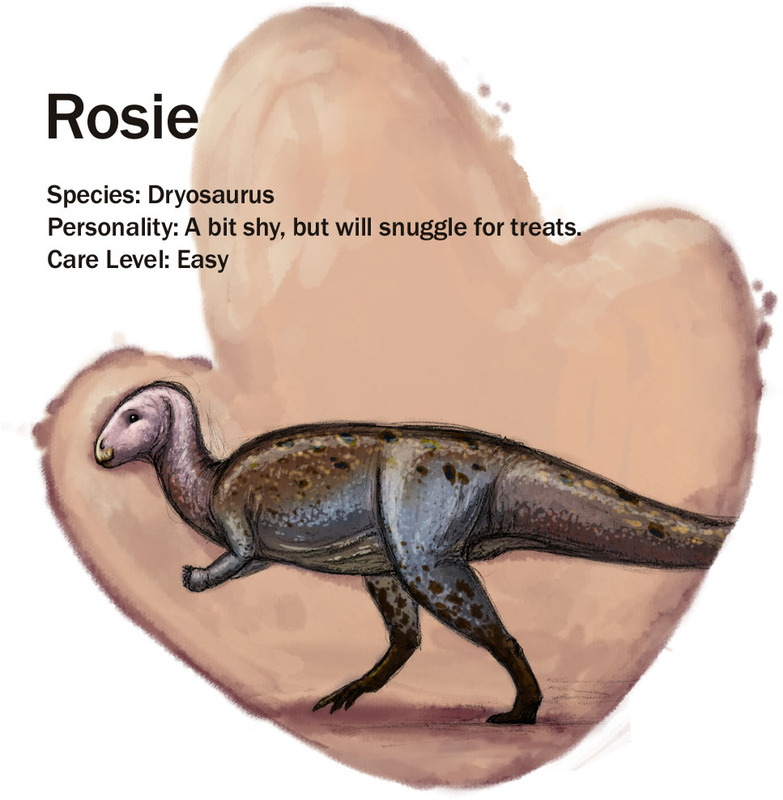 Thank you so much for your kind comments, I'm glad you like little Rosie! Ornischians don't get enough love. Flipper the Ichthyosaurus has swum by to say hello. I'd really appreciate any critique if there are any glaring inaccuracies, especially since he'll be featured in the picture book I'm working on. If you have a minute or two to spare, it'd be awesome if you would click on the picture and take a quick peak at my post. 5 Fast Ichthyosaur Facts. The site is geared towards the same audience as would read my book-in-progress. Mostly children between ages 4-6, and the parents who read the story to them. Perhaps parents of dinosaur-obsessed kids who want to find out more about their child's obsession. I assume absolutely no knowledge of paleontology, but I never want to make anyone feel talked-down to or stupid. Since I don't know a whole lot about Ichthyosaurs, it'd be awesome if you could take a peak to make sure I did my research right. Thank you! More coming soon! My website is a lot more than an empty lot now, and I can share more illustrations. Thank you, I'm glad you like him! Here's another one for ya. Little Twig the compsognathus. Now I know I read something about scale impressions on this little guy's tail and legs, but I can't remember exactly where, and I couldn't find any papers describing where the scale patches where. 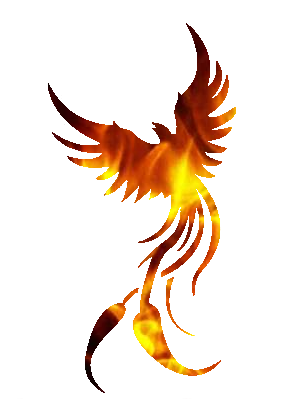 So I've taken a look at close cousins for the feathers. I seriously need to work on how these critters look in 3/4 view. Oh my, I can't believe I missed that! Thank you for pointing that out to me Sim. I did look at Scott Hartman's lovely skeletal, but I think I went wrong on the feet when I looked at my chicken's feet for reference. Thank you again for the helpful critique. I'll have to retouch this critter. That seems to explain the first toes not being visible!